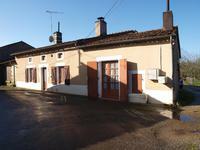 Two bedroom stone house with garage and detached barn to renovatte in quiet hamlet with garden. 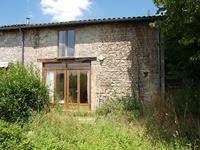 Stone built two bedroom property in quiet hamlet to renovate, but habitable. Outbuildiings . . .
Gorgeous three bedroom stone cottage, enclosed courtyard garden with south facing patio, Pergola, orchard, garage and private parking. 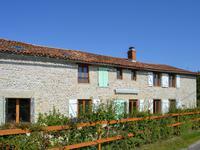 This lovely well maintained cottage in a quite hamlet setting, overlooking the Argentor . 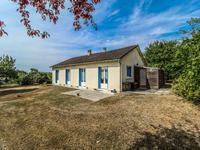 . .
What a beautiful setting for this clean and tidy bungalow. Minutes away from two very popular . . . This fantastic lock up and leave steeped with character but with a creative modern twist, . . . 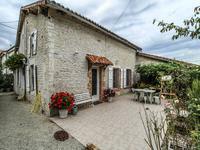 Situated close to the popular village of Nanteuil-en-Vallee, this property dates from early . . . 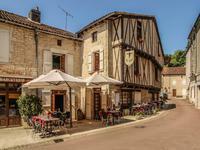 Perfectly situated on the pilgrimage routes to Santiago de Compostelle, the beautiful Village . . . 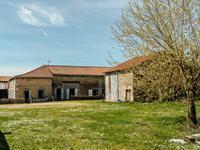 Spacious country house full of charm with four bedrooms, a garage and a large enclosed garden with view. 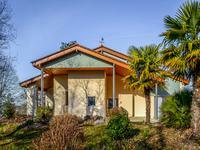 This charming character house has the most beautiful hill top setting with a magnificent view . . . Unusual house with three bedrooms in this delightful village with stunning views across the valley. Renovation project ! 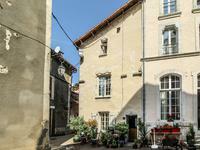 This three bedroom, two bathroom home has a terraced garden for enjoying . 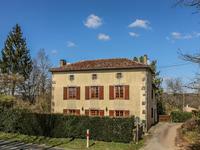 . .
A beautifully renovated stone property offering 4 bedrooms, 1 of which has an en-suite shower . . .